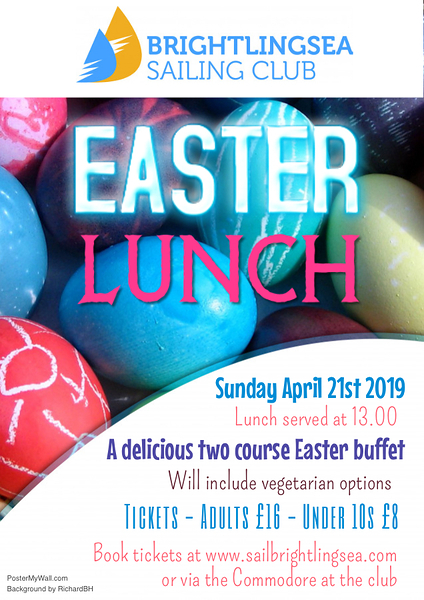 Your H&E Committee are full steam ahead with plans for this year's ever popular Easter Lunch and tickets are now on sale so please book early to avoid disappointment. 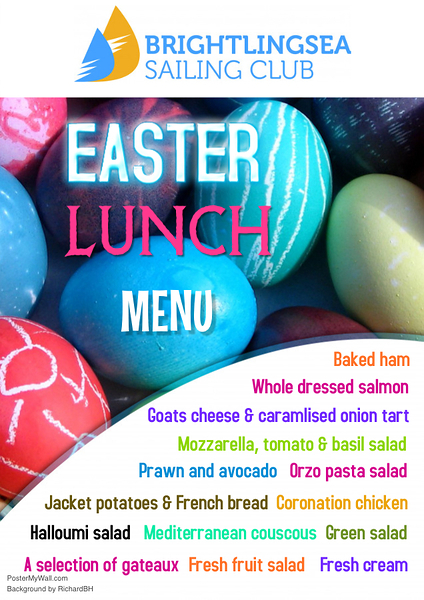 Lunch will follow the Cadet Easter Egg Hunt and this year' will feature a delicious two course luxury buffet to be served at approximately 1pm (sailing permitting) on Easter Sunday 21 April, so do come and join us! You can book your tickets via the online portal or over the bar at the weekend and tickets cost £16 for adults and £8 for 10 year olds and younger.